Can AI Robots Replace Humans In The Recruitment Process? | Horizon Technology Partners, Inc.
Can AI Robots Replace Humans In The Recruitment Process? Technologies like Artificial Intelligence and automation have rapidly evolved which help different industries progress and compete to stay on top of their game. According to Statista.com, the majority of startup companies in the AI market are focusing on applications which allow computers to work without human assistance. Studies show that the worldwide revenue from the AI market will increase tenfold between 2017 and 2022. It is crucial that businesses and different industries know how to use this technology to their advantage and keep up with these inevitable changes. AI automates business processes using the technology of Robotic Process Automation (RPA) which act like human inputting information from multiple IT systems. A machine-learning application gains more detailed insight through data analysis which uses algorithms that detects patterns in vast volumes of data. This technology uses natural language processing chatbots or intelligent agents engaging with customers and employees to address issues and process requests. Recruiters spend hours going through resumes to find the right talent, and AI robots can automate the process and use the data to make a decision, but can they detect if a person fits the role and will work well with the team, particularly their soft-skills? Recruiters use psychology to determine the values and behavior of a candidate, and AI robots can mimic human brain activity to recognize patterns but do they have an instinct or a clear picture of the candidate standing in front of them? 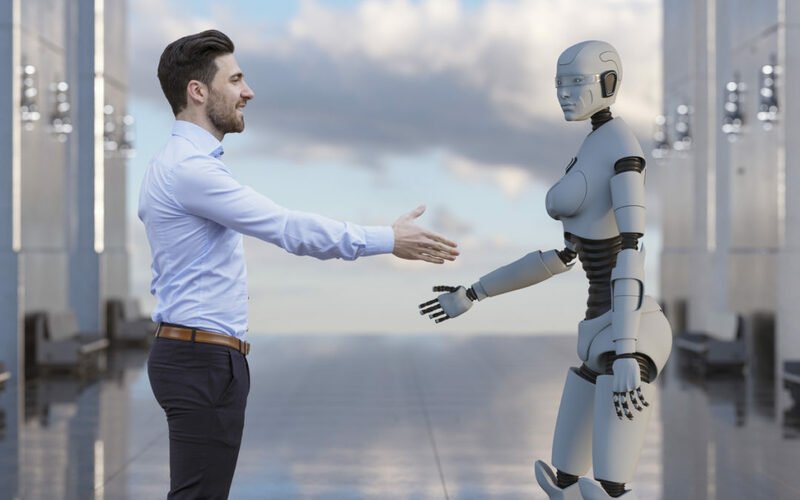 Recruiters interact with employers, employees, and candidates, and AI robots can simulate human conversation and be available 24/7, but can you build meaningful and trustworthy relationships with robots? It can reduce no-shows appointments, and rescheduling or cancellation will be easy. A reduced training cost since a company does not need to train anyone to benefit from the technology. It allows hearing-impaired users and those who do not speak the local language to carry out tasks over the phone. In the future, Artificial Intelligence will continue to be developed with greater sophistication. Eventually, AI technology will be able to take-up a significant role in the hiring process, but the fundamental human skills, experience, and professional judgments that are brought to bear in this process, especially with “elite” hires, will be difficult to replace, as many will agree. If you would like to learn more about finding the right candidate for your open positions, give us a call at 847-202-3242 or email us at connect2htp@htpartners.com.